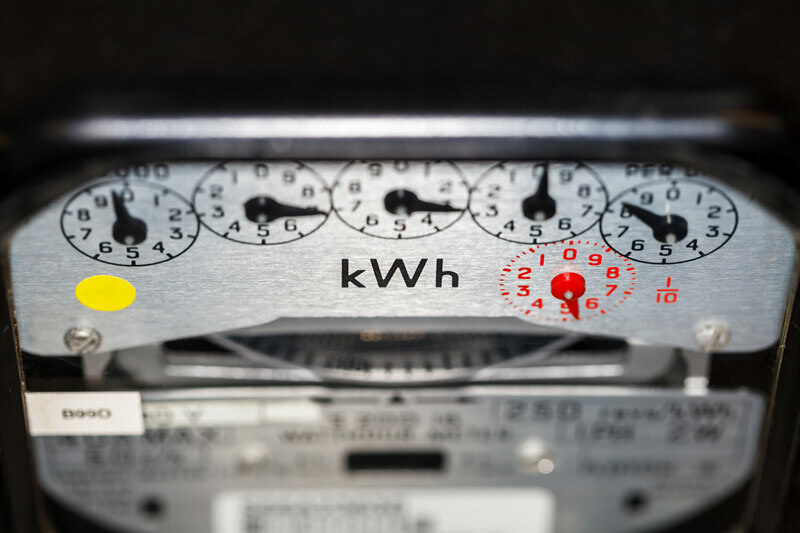 Energy tariffs, are you on the right one? South Africa has arguably one of the most complex tariff structures in the world. Each municipality is free to set up the feed structure that best suits them. On top of this Eskom has its fees structure which is set up to service rural residential users all the way up to very large industrial power consumers. All of this compounds to create 814 tariffs and 18 641 individual charges across 16 municipalities and Eskom! It’s a nightmare understanding these let alone optimising them! The good news is that Copper, with some support from our engineers, will help you take care of his. Here is a brief overview of the basics of tariffs (If you know about how tariffs work skip to the section on “How we can help”). Service charges: This is usually a flat fee per month or day and covers the cost of administering billing and other services. Energy charges: This is the charge for kWh of energy used and will change depending on how power hungry you are. It’s the cost of converting coal to energy in essence. Reactive energy charges: Reactive energy is created by some types of lights or older electric motors. This energy is wasted and so this charge is designed as an incentive to get users to fix this wastage. This is a Rand per kVArh charge. Other charges: and of course each municipality has added a collection of charges that make things spicy. These other charges are typically related to recovering money to sponsor rural electrification or as a fee to the municipality. So that’s the list of the charge types. Next up is the list of how they apply them. There is a lot of fine print here and many of the processes below are applied in subtly different ways. If your trying to work out how your bill is generated please make sure you have these rules at hand. Flat rate: This one is simple, its one rate and you can multiply this rate by the kWh you used and you get your cost. Time of use: Here you get charged a different rate depending on the time of day or the day of the week. Time of use (TOU) is designed to encourage customers not to use energy when Eskom is at its peak generating capacity. There are 3 rates for off-peak, standard and peak. Peak can often be as much a 4 times the standard energy cost. Season: this is similar to time of use except it applies to summer and winter. In winter we increase our energy usage to encourage is to minimise this you see your energy cost goes up in the winter months. Demand charges are also applied in a few different ways. Here is a brief summary of a few types. There are others but they are not common. In essence all of these are designed to keep the load on infrastructure low and consistent as it reduced the need for increasing the capacity of substations and power lines etc. Strike MD: Like NMD but you pay an added penalty for every time you exceed your NMD in 12 months. This can get Very Very expensive! Energy bills are a glorious mix of all of the above, mixes in as many ways as possible to make life more fun (being a glass half full kind of person, that my view at least). Knowing which of these you are on can help you understand if there are opportunities to save money without reducing your energy usage. We have built a tariff engine that holds all tariffs and can apply this to your energy consumption. This product is called COPPER and its sole purpose is to show you where you can save money. We use this software to analyse your energy usage pattern. This data is used by our engineers to find ways to change your usage pattern or use technology to reduce your energy cost with a real return on investment. The biggest saving though often comes from doing a tariff comparison. You often can choose from a few different tariffs. If your energy consumption has changed or you are in a new facility chances are you’re on one that’s not ideal. We use the data we collect with COPPER and do a tariff analysis and from that select the best tariff for you. In some cases no change is needed but more often than not we save our customers between 10% and 15% without them doing a thing. If you would like to find out if you are on the right tariff contact us at software@terrafirma-solution.com and let us help you save. http://terrafirma-software.com/wp-content/uploads/energy-meters.jpg 533 800 Douw Jordaan http://terrafirma-software.com/wp-content/uploads/tfs-logo.svg Douw Jordaan2015-11-04 13:41:132015-11-12 10:14:26Energy tariffs, are you on the right one? The Importance of Energy Management Software Solutions Eskom – Feeling Disempowered?